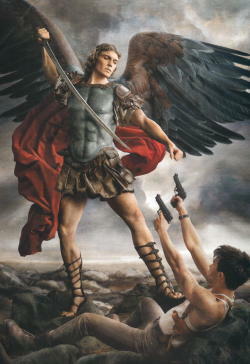 Profile Headline: NEVER ANGER THE ARCHANGEL!!! About Me: THIS SPACE WILL BE USED TO POST MY LATEST VIDEO..........BUT I WILL NOT BE OUT HERE VERY OFTEN IN THE NEXT FEW MONTHS.........PLEASE FEEL FREE TO CHECK OUT THE VIDEOS I HAVE POSTED HERE. HOPE TO SEE YOU SOON! Hey thanks for rating me and admiring me! You are the best. Have a good day! Chat with you in the near future hopefully! Thanks a bunch for the warm welcome! I am also a Pisces, so that is very cool! Hope to see you around more often chat with me anytime! One of my fav premiums! Hope to see you in my room soon. Thanks for your sweet words! you're amazing! Thanks for the rate and admire!